A few weeks ago I saw these balloons as I pulled into where I live. A couple of thoughts ran through my mind. 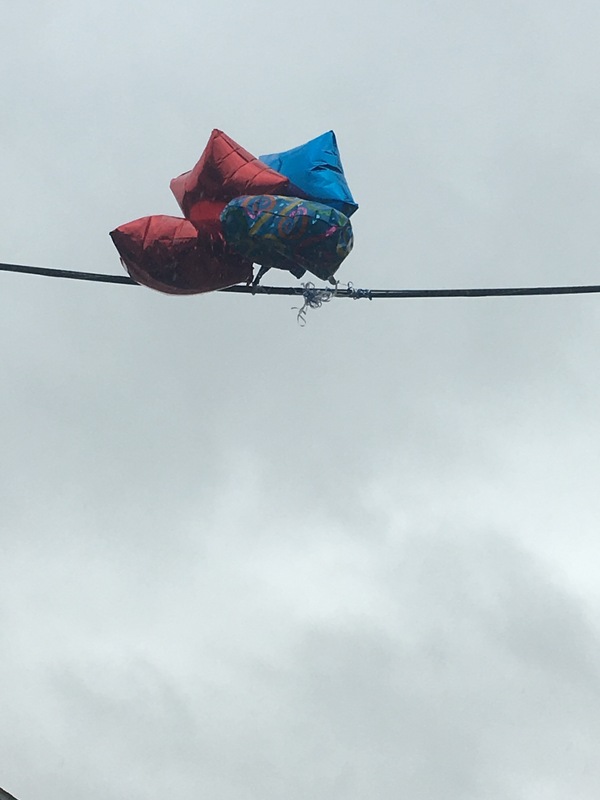 How did these balloons get stuck? They aren’t meant to be stuck…they are meant to fly!!! They are meant to ascend into the air. But they were stuck. They would go no where. I can look at anything and see a sermon. Or a blog! These balloons got me thinking about life. Why do we sometimes get stuck? We are meant to soar! To fly! To do great things! Are you stuck? Something will have to change. The first thing to change must be YOU! I don’t know who let go of those 🎈 balloons 🎈. Those balloons didn’t have choice. We do! How far we will soar in life is up to us. It’s not about how much money we make. It’s about effort, determination, focus, drive, desire, and the choice to get better! If you’re stuck, don’t stay that way. Cut those wires that may be holding you back. And then soar!!! Cmon now! The sky is the limit. No wait, it’s not! There are no limits. Go get it baby!